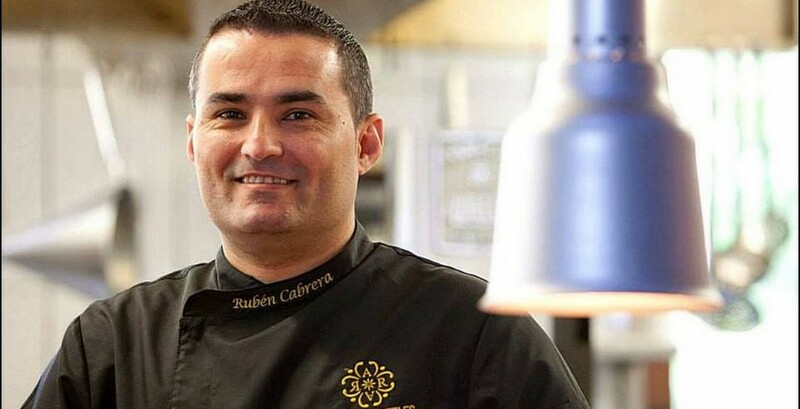 Mention, passion, drive, innovation, and a vision for what is next in the culinary world, and 1 Michelin Star Chef Ruben Cabrera´s name is sure to follow. 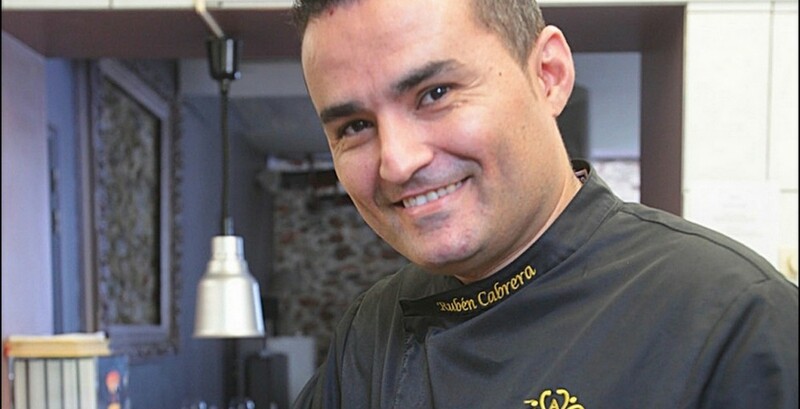 Chef Ruben Cabrera, a great believer in sublime gastronomic indigenous ingredients, of his native birthplace, sub tropical Santa Cruz de Tenerife, and The 7 Canary Islands, coupled with French techniques, and international evolutionary touches, Chef Ruben crafts exquisite cuisine of grand finesse, punctuated with products from the sea, redolent and the lands of his ascendency. 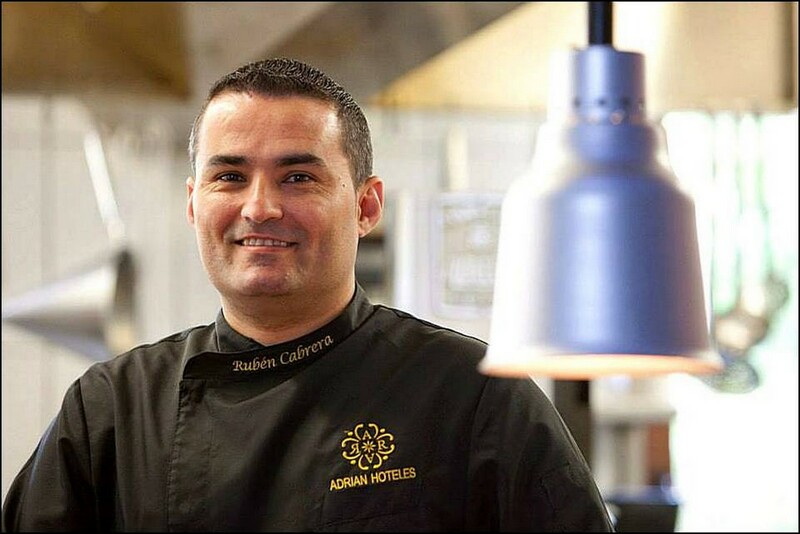 One Michelin Star Chef Ruben has been Executive Chef at the fine dining establishment, Restaurant Cúpula, the Dome in English, located in Hotel Jardines de Nivaria, on Costa Adeje, since November 2007. 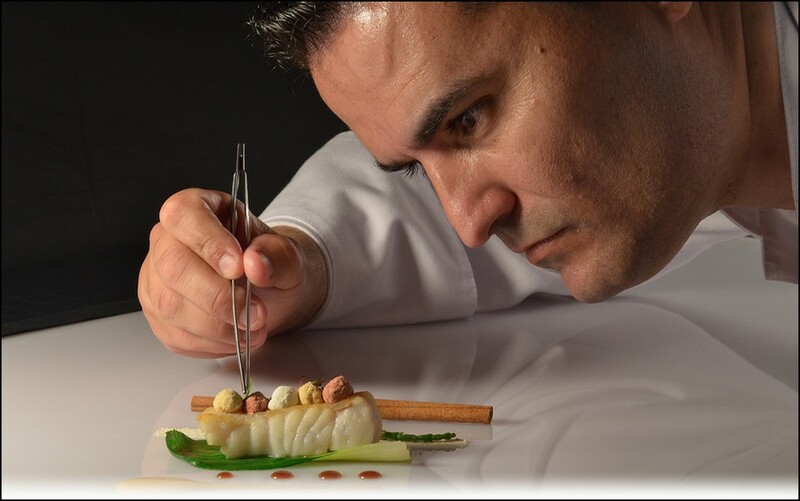 In 2012, La Cúpula, was honored with The Best Hotel Restaurant award under the direction of Chef Ruben Cabrera. Tell us, where were your born and raised ? I was born in 1978, in Santa Cruz de Tenerife and spent my infancy there until I reached the age of 13. Then, with my parents, we relocated to a small village at that time, named Playa de San Juan, to be closer to my father´s place of work. What motivated and influenced you to become a Chef ? Coincidently, I had wanted to become an Agriculturist, as my parents have had farm lands and thought it a sound future. However, we had a visit from La Escuela de La Hosteleria de Adeje, and the truth was, the arrows, pointed me in this direction. Where did you study to become a Chef and what is your culinary philosophy ? 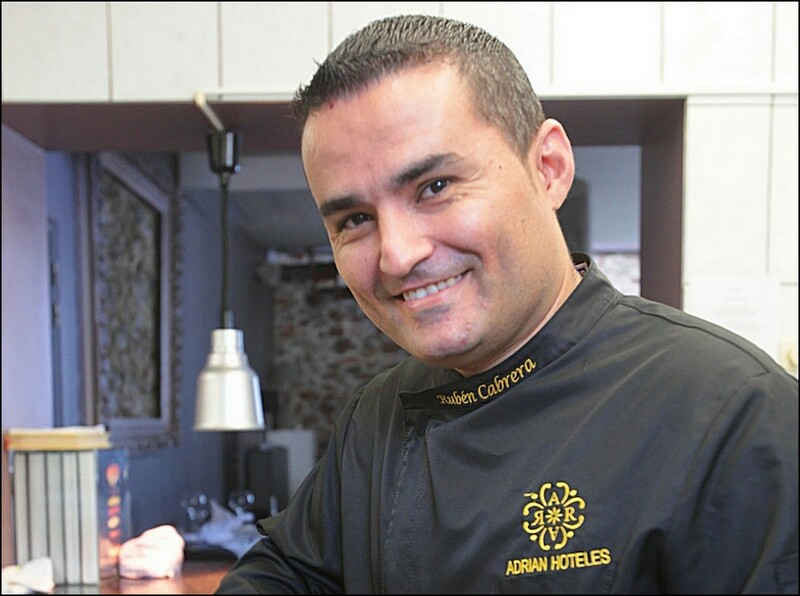 I studied at the Escuela de Hosteleria, in Adeje Los Olivos, Tenerife, a professional culinary institute. It was fascinating on the learning end, and at the same time, diversified and fun. We worked individually and we worked in teams, networked and created friendships. To move on, my culinary philosophy is “Work and More Work”. 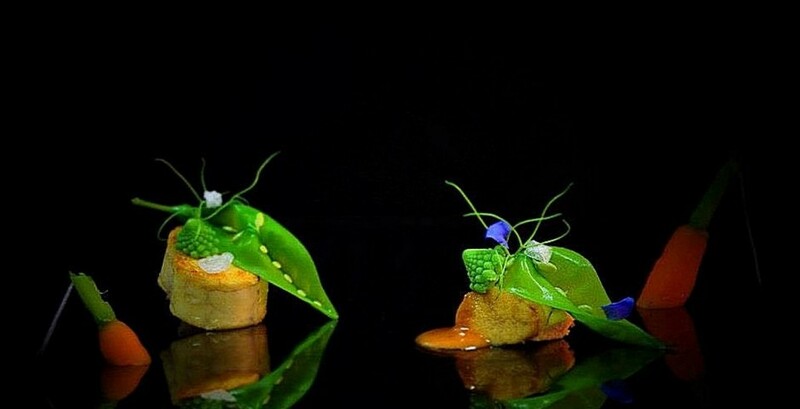 I believe that this 21st century evolution of The Chefs is their innate strength, and their sacrifice that each individual is able to follow their objectives in order to reach their summit in the culinary field. 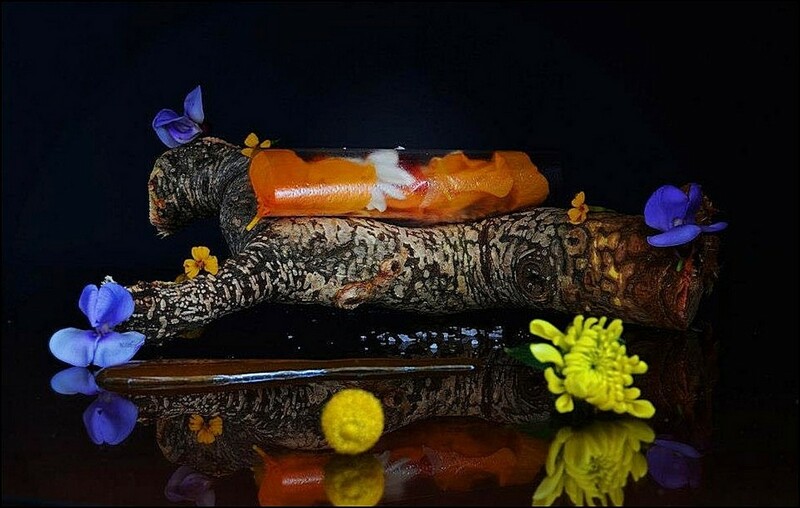 At La Cúpula my team and I, create the visual impact, as well as the gestation aspect of each dish. We are full of surpises, and curiousities, and intent to impart this to our guests. 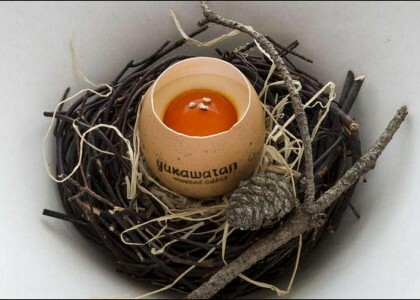 A definiteness, my style is vanguard and sensorial with profound roots in the products of The 7 Canary Islands. Who had been your professional Mentors or Mentor ? The truth is, my first Boss, Executive Chef, Señor Felipe Suaréz. He had truly branded my professional career. 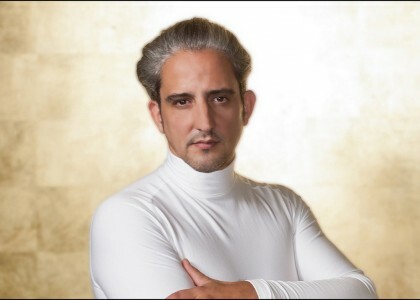 He was an expert, in French Haute Couture gastronomy, and thanks to Felipe, and all his assistance and guidance, I progresses to where I am now. 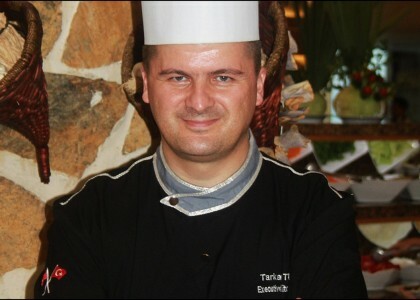 Additionally, I have apprenticed at: Restaurant Mugariz, Restaurant Arzak and Restaurant L´Imperatif. I have learnt uncountable techniques, and acquire the knowledge structure, employed in my actual cuisine now. 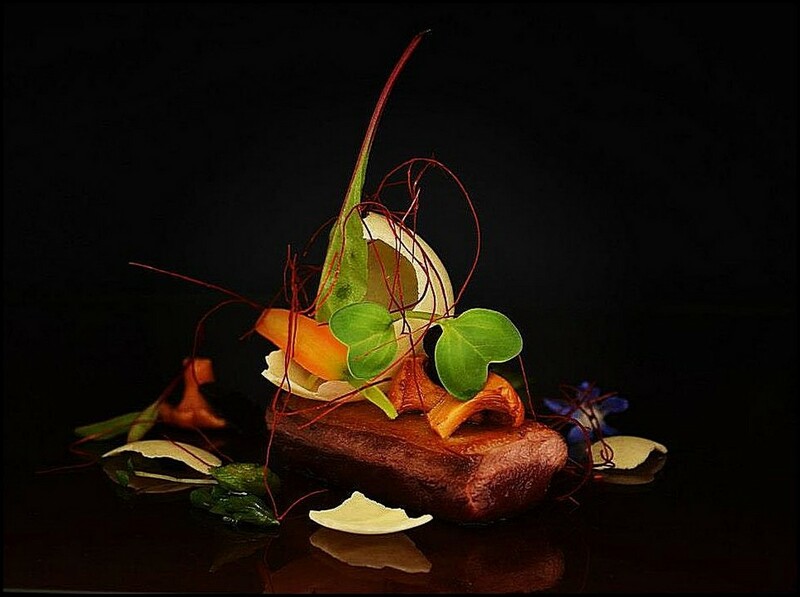 What is your viewpoint on the popularity of Television emissions and public adoration for the Chefs and especially their artistic aspect that is highlighted, the dressage of the plate ? Television has expanded the world of the Culinary Arts beyond our imaginations. I believe the it is on the forefront burners and very prevalent on a daily basis, social and on the artistic level. 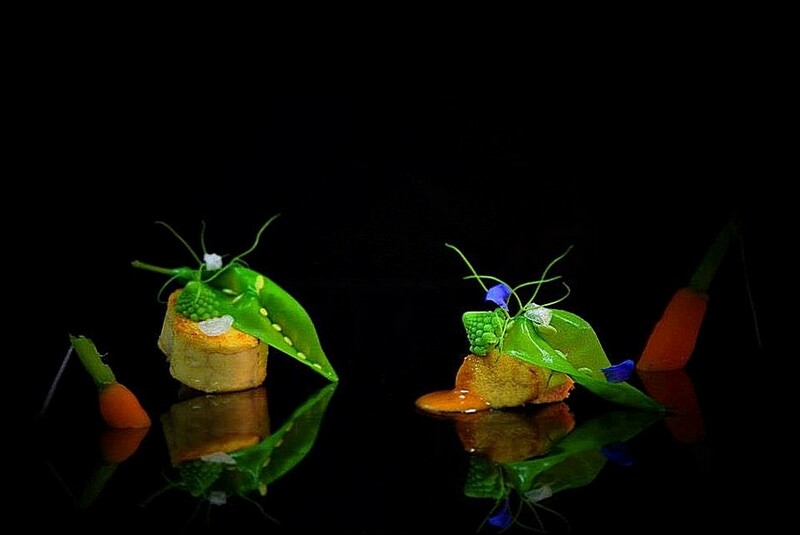 The grand level of gastronomy is demonstrated not only on Television, but in Film, Theatre and Videos. 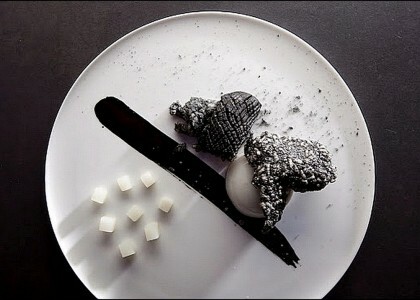 To what degree of importance do you bring to the aesthetics of plate presentation ? For me, the esthetics is fundamental in my presentations. 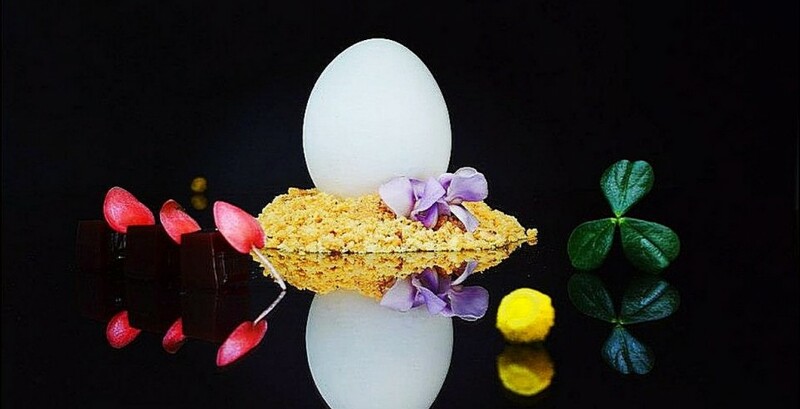 Today for today, gastronomy from the knife to the feather, is what empowers a Chef, and creates a marked difference in their particular style, and on this, we work and intent to understand our clients and give them an dining experience they shall find memorable. What have been some of the feedback, you have heard from your clients on the presentations of your dishes ? Various extraordinarily positive comments and reactions; some comparing me to an artist, and some are really emotional over the exquisiteness of the dishes that arrive to the table. Others, an applause, and the action motivated sensation, like their favorite football team, had won the World Cup. 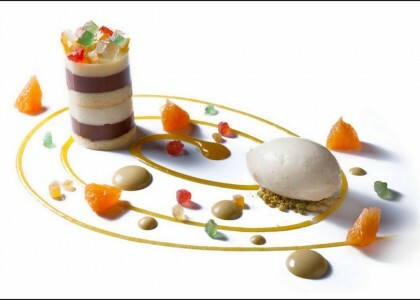 When working on a new dish, what is your creative process in terms of presentation and dressage ? Paintings, shells, palm trees, architecture, sculptures, photographs, geometics, spherical, flowers and / or fruits ? It is not always the same, nor in the same forms of dressage. 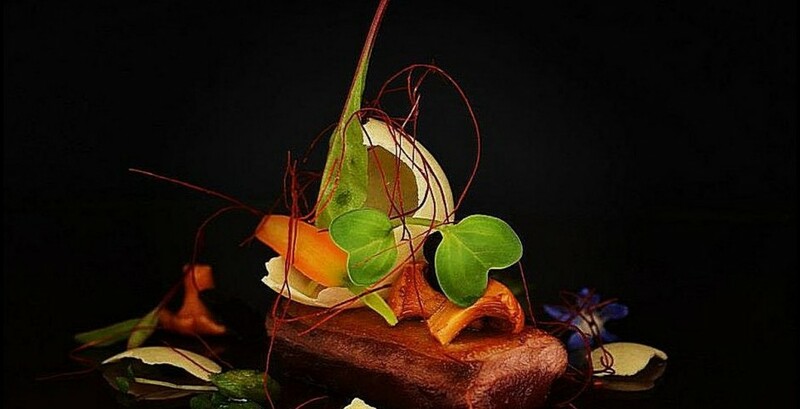 My experience, is to think of something realistic connected to the dish. In the tranquility, lies the greatest strength. It enables the fluidness of ideas that are relevant, and work inspirationally and positively. The seasonal product factor, empower the elaborating and presenting something in simple complexity or complex simplicity. I never copy. It is all from my wealth of experience, inspiration and innovation. Who do you consider the most creative Chefs in dressage ? 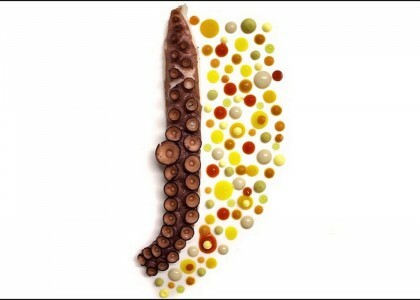 Firstly, Chef Ferràn Adrià, for his emotional and exciting realism surrealism. 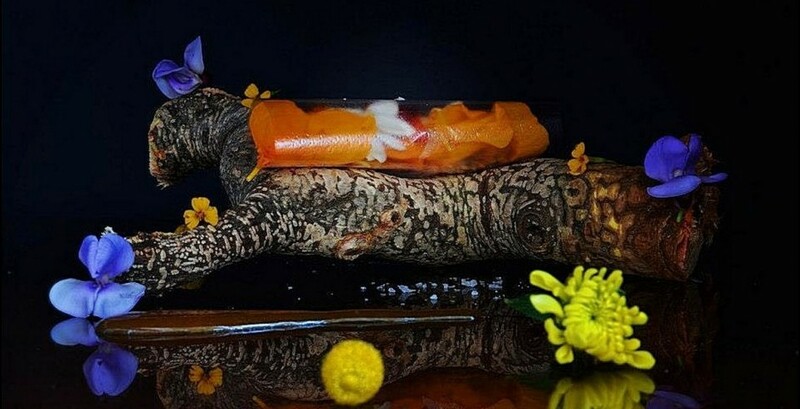 Then, Chef Grant Achatz, is a “show“ and his showmanship for the client is admirable. Finally, Chef Peter Gillmore, who is full of talent and creative, twists in the art of dressage. Do you train and / or have had training in respect to presenting and dressing ? Yes, to develop the plate is one of the first concepts and after, the techniques of developing, and the methods implemented are fundamental. 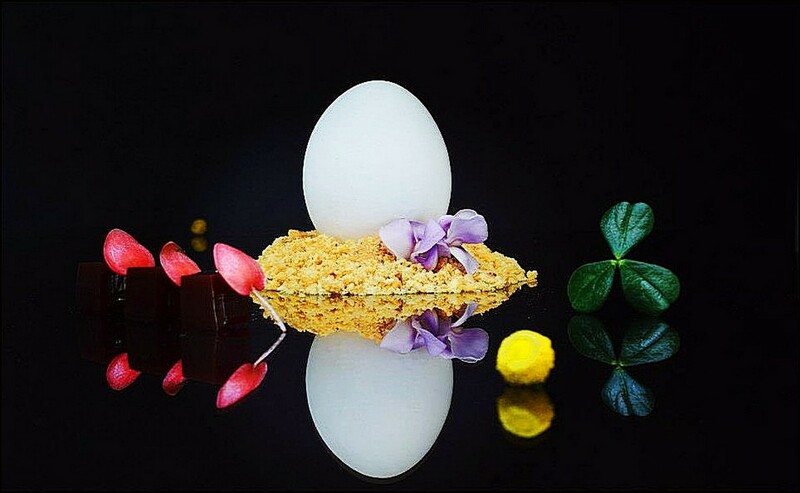 What is your view on Workshops, training at Culinary Institutes, technical books, image banks, and do you investigate to obtain the sublime and exquisite plates that you prepare ? Generally speaking, I do not copy except on a technical level, of a grand Chef. I am intent to utilize my own evolutionary ideas. To answer the question, yes I am a firm believer in excellent training which includes presenting, one of the fundamentals. 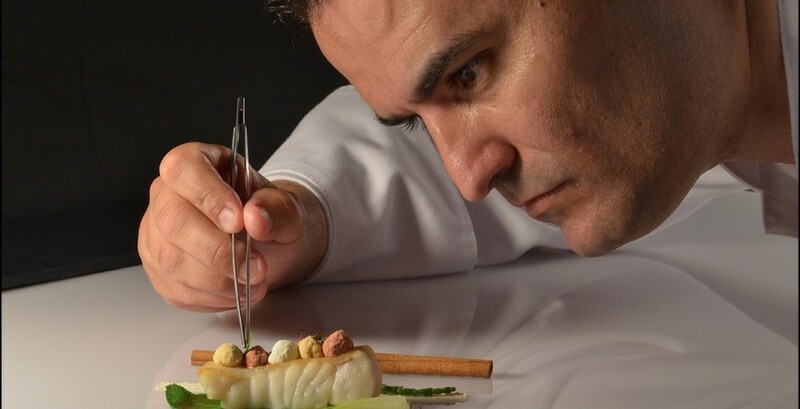 Firstly, I hope to gain the 2nd Culinary Flavors Award from The Basque Culinary Centre Challenge at the Madrid Fusion 2014 during the week of 27 – 29 January. I am one of the Finalists. 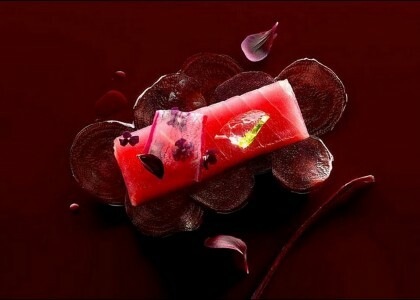 Secondly, to renovate our Carte wherein, some of the standards on the Menu are three years of age. Let us discuss the investigation of indigenous Canarian and foreign products. Fortunately, I have had the wonderful experience to travel through Columbia and Ecuador and have learnt about their enormous selection of indigenous Pre-Hispanic food sources, their flavors, colors, seasonal growth, usage, combining, preparation etcetera. What is your knowledge of Visions Gourmandes website ? I have found it very interesting and excellently executed and easy to navigate. I like the world wide Chef Photograph gallery and its references to lovers of a fine table, and the daily report. Are there any columns, tools and / or sections, that you would add ? For me it is perfect as is, just please add my Interview ! Yes, of course. Which specialty products do you employ ? Canarian Black suckling pig, Foie Gras and Scampi or Norway Lobsters, or Langoustines in French. Objectives, trips, ideas, hopes for 2014 ? Principally, my goals and expectations for 2014 are many. The most important at moment are, health, to increase my knowledge and implement this new knowledge in my work. To travel, to continue as Chef as La Cúpula, and for the Restaurant, to become more well known throughout Iberia, and the rest of Europe. To network with tourist guides. Well, many thanks, Chef Ruben. It has been a true pleasure to meet you.